Game developer Tariq Lacy has accused director Hiroaki Yura of stealing money from a Kickstarter called Project Phoenix to fund his latest game, Tiny Metal. Yura has fired back with his own allegations, accusing Lacy of sexual harassment, which Lacy denies. It’s a back-and-forth mudslinging fight and yet another piece of drama surrounding Yura’s disastrous $1 million Kickstarter project. Rumors have been swirling about Project Phoenix since it first popped up in 2013, and among independent game developers in Japan, the million-dollar Kickstarter campaign has long been a source of consternation. Promising to “set a new standard of excellence for the Japanese gaming industry,” Project Phoenix raised $1,014,600 from 15,802 backers before failing to meet its deadlines. In 2015, Yura said the game would be delayed an additional three years. And in April 2017, Yura told backers that he planned to release a different game first, explaining that he’d found some investors who would be willing to help back Project Phoenix if this new game succeeded. 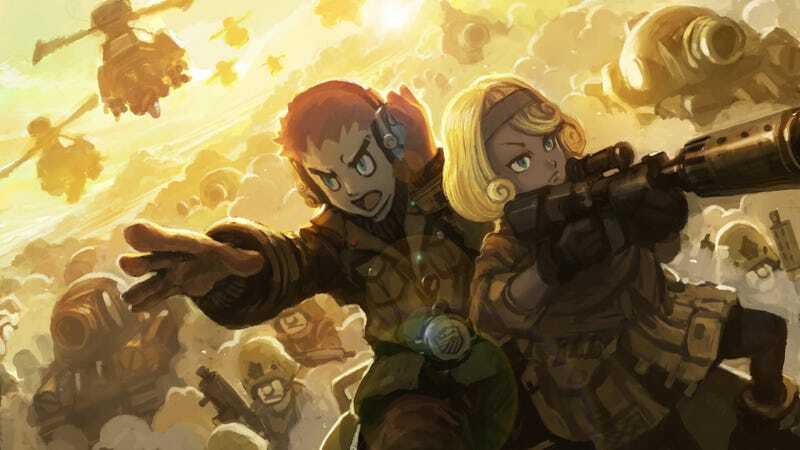 That new game is Tiny Metal, which was planned for release tomorrow before it received a last-minute delay to December 21. And Lacy, who worked as a marketing and PR manager on Tiny Metal, took to the Project Phoenix Facebook account to accuse Yura’s company of running a scam. Two months after I was hired at AREA 35, I had learned that the company funded this project by running a scam through Kickstarter. They gathered several famous creators and ran a campaign known as “Project Phoenix”, then used the $1,000,000 received from the campaign to fund the “TINY METAL” project. Lacy denied these accusations, saying in an e-mail, “No, Hiroaki’s statement about me being toxic and sexually harassing a staff member is not true. He is reacting to my statement with libel.” He also sent over a few hundred logs from the company’s Slack chat channel, although upon review, few if any of those logs appear to be relevant to either claim. This all makes for an ugly, public battle that will no doubt hang over the release of Tiny Metal, and it’s yet another blemish on a Kickstarter project that many backers suspect will never happen.